LATEST UPDATE dated 06.03.2019 : UPSSSC has uploaded Objection List for Candidates who has problem related to Photo & Signature upload. 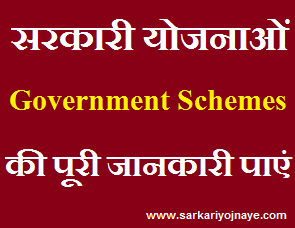 Check UP Mandi Parishad Exam Objection List from link given below…. Big News !! There will be Recruitment on Group B & Group C Posts in UP Mandi Parishad, Mandi Samiti. There will be Recruitment of various 1200 Posts in Uttar Pradesh State Agricultural Produce Markets Board. UPPSC will make Recruitment for Group B Posts while UPSSSC has given responsibility to make recruitment for group c posts. Details of UP Mandi Parishad Recruitment 2018, Vacancies, Recruitment Process is provided in this Article. UP Cabinet has taken decision to make recruitment on vacant seats in UP Mandi Parishad i.e. UP State Agriculture Production Mandi Parishad & Mandi Samiti. After Formation of UPSSSC Recruitment Process will start for Group C Posts. Candidates need to have regular look on uppsc & upsssc websites for updates. Age Limit : As On 01.07.2018 Age Limit Should Be Between 21 to 40 years. Candidates age should be between 02.07.1978 & 01.07.1997. Educational Qualification : Download Official Notification Regarding Full Details of Educational Criteria. Application Fee :Rs. 225/- for General & OBC Candidates and Rs. 105/- for SC/ ST Candidates. Candidates can submit Application Fee by mean of E-Challan & I-Collect. Application Fee can be increased, details will available in Official Notice. Candidates are advised to Keep in touch with our website (www.govtexamalert.com) for Latest Updates regarding UP Mandi Parishad Recruitment 2018 for Group B & Group C Posts. Bookmark this Page to get instant updates (Press CTRL+D). Exam can be conducted in March. Get Updates from this link..
Mandi inspector ka probation kitne year ka hai sir…. Mandi inspector walo ko Kya baad me job se nikaal Diya jayega Kya.. Regular hone ke chances hai sir..
Hi Deepak, Exam may conduct in March, 2019. Get Updates from this link..